Initial Intensive Care – Clients often come to see us with pain, tingling and weakness caused by postural stresses, or from accidents and injuries. Initial intensive care is therefore designed to reduce or eliminate those symptoms. We aim to get you moving and feeling comfortable again. Rehabilitative Care – stabilises the spine and promotes more complete healing. This type of ongoing care can strengthen the muscles and other soft tissues of the spine. Rehabilitative and strengthening exercises will be given to support your posture and movement thus helping to avoid a relapse. Wellness Care – Clients choose to continue with chiropractic care in the form of “check-ups” that help to preserve and maintain spinal health. Hence, occasional visits can help catch little problems before they may potentially become more prominent. Detailed case history – we will complete a comprehensive review of your past health history and also your current problem. 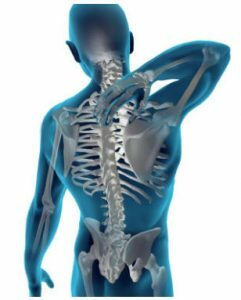 Spinal examination – we will perform a thorough spinal examination in order to locate areas of your spine that are not functioning properly. This examination will include your posture, ability to turn and bend, reflexes, muscle strength and also other orthopaedic and neurological tests. X-rays if clinically indicated – X-ray views of your spine may occasionally be necessary. These can reveal pathologies, show a history of your spinal health and make your chiropractic adjustments more precise. We refer out for X-rays. Medicare covers the cost of most spinal x-rays. Chiropractic treatment – is safe, effective and natural treatment for patients of all ages. Every person is unique and therefore we tailor the treatment approach and techniques to suit the patient’s needs. We give priority to clients in acute pain, where possible. We will do our utmost to fit you in on the same or next day. Report of Findings – This visit is crucial to understanding your problem and the decisions you will be asked to make regarding your health care. Please contact us by calling 6281 549 to book an appointment.